119.27 Genomic characteristics of Homo sapiens. 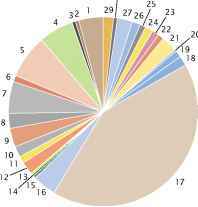 (a) Number of chromosomes, genome size, number of genes, and G + C content. 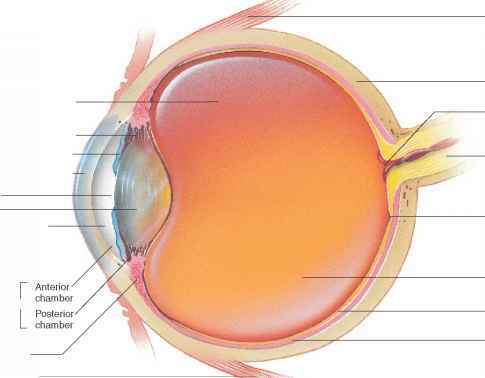 (b) Percentages of genes affecting various known and unknown functions. 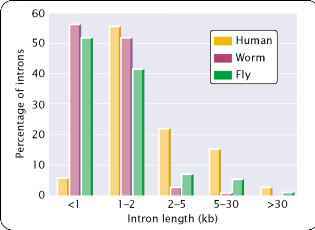 (c) Intron length of genes in humans, worm, and fly.